A video was released from the LEGO Design team showing off the latest UCS Star Wars set coming in January; Boba Fett’s iconic ship Slave I. This looks like an absolutely fantastic set with a lot of cool features, the standard UCS stand, and (best of all) a Han Solo frozen in Carbonite!1 The Slave I is showing on the LEGO Website as being available on 1st Jan 2015 and consists of 1996 pieces. UCS sets like this are usually made available to VIP members a couple of weeks before but I’m not sure if that will happen with it being Christmas. 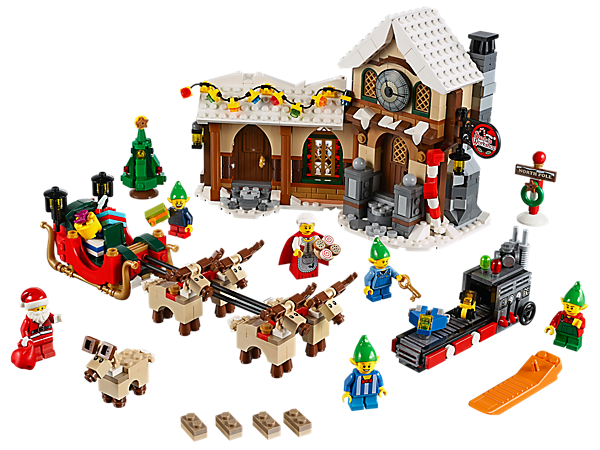 All of the LEGO Christmas sets are now available including Santa’s Workshop. Throughout October there are double points for VIP members and if you spend over £50 you get an exclusive Toy Workshop. I’m quite tempted by the workshop and a few baubles for the tree! Today saw the release of 4 new sets in ‘The Hobbit’ series. These range from the small Witch-king Battle to the largest Hobbit set yet with The Lonely Mountain (complete with Smaug). As with the previous 5 sets, there is something about these I’m just not keen on. I loved the Lord of the Rings sets so much that I bought all of them but there’s something about The Hobbit which doesn’t grab me in the same way. 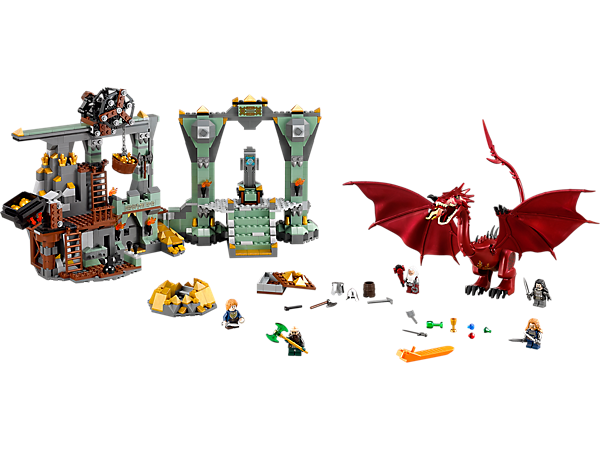 The Lonely Mountain set is also very expensive (most likely to cover the cost of Smaug) at £99.99 for less than 900 pieces. One of the more exciting announcements last week is that Universal have confirmed LEGO will be a licensing partner for Jurassic World, the new Jurassic Park movie due next year. When I collected the LEGO Dino series a few years ago, I thought it would be much better as a licensed Jurassic Park set and it seems that dream has come true. I’m hoping this will go hand in hand with a Jurassic Park LEGO game from Telltale with all 4 films. If the sets go down well, I’m fairly sure they’ll do some of the classic scenes from the original 3 films. 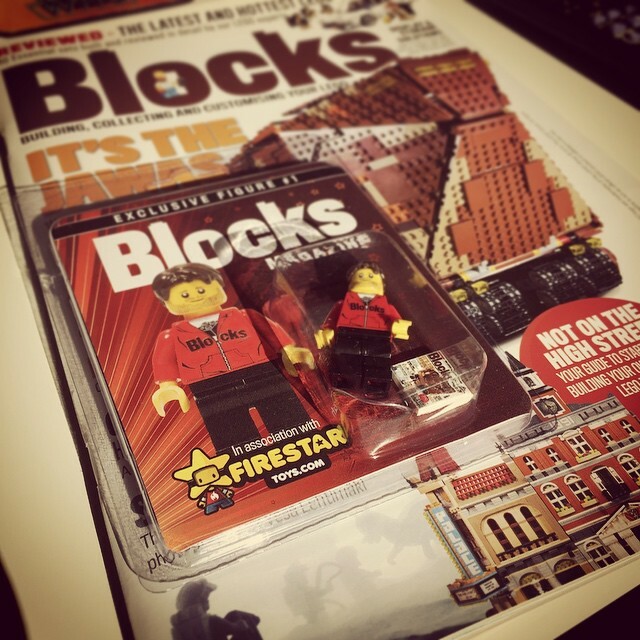 Finally, Blocks magazine (which I’ve raved about before) becomes a monthly magazine starting next week. If you order an annual subscription, they’re sending out a really cool minifigure of the editor complete with a tiny pilot issue of the magazine. Mine arrived today and I can’t wait for the magazine to come next week!